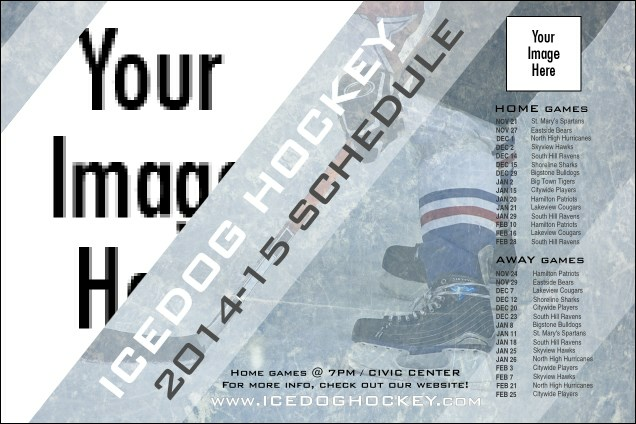 Spread the word about your upcoming season when you order the icy cold Ice Hockey Schedule Poster. Featuring cool colors and ice that looks like it's fresh from a zamboni, this Poster has plenty of room for your upcoming season's schedule, plus a larger team image and your team logo. Make sure your fans know where and when to see your next game with the right poster from TicketPrinting.com.